The Lego Simpsons. Mr Burns & Bobo. 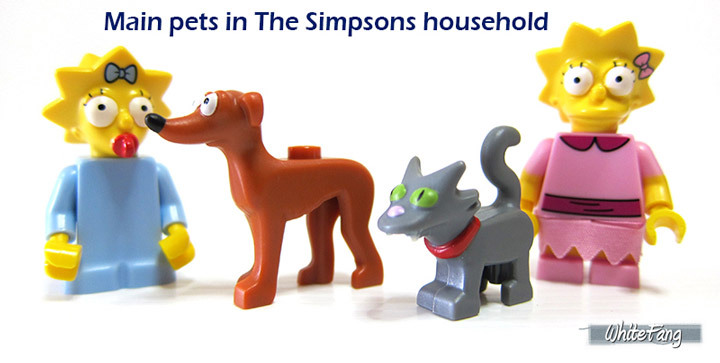 The Simpsons and Lego are full of many possibilities. Shannon Sproule has re-created one of the more odd scenes from the animated television show. 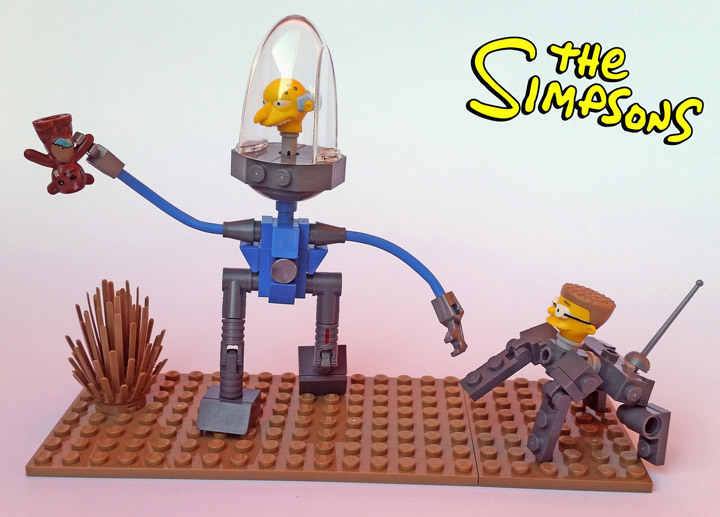 This Lego futuristic Mr. Burns is based on Rosebud episode, from season 5. The setting is the year 1,000,000 A.D. and Mr. Burns has finally reacquires his beloved stuffed animal, with the help of a robotic dog Smithers. 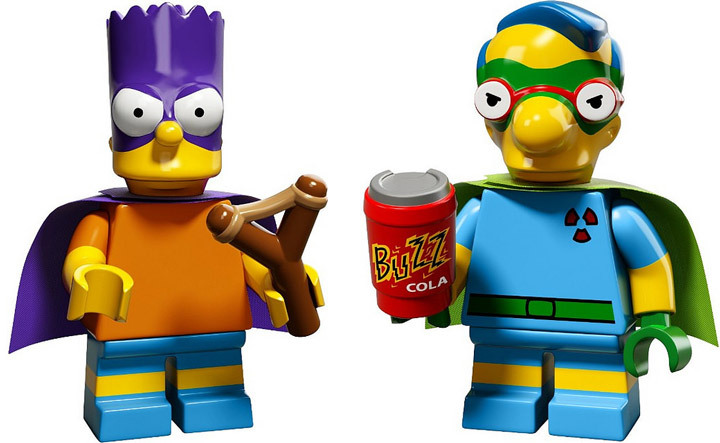 The Lego Simpsons Minifigures Series 2 (71009) Reviewed Early! Ay caramba! The Lego Simpsons Series 2 Minifigures was just officially announced (here), and an early review is already up. 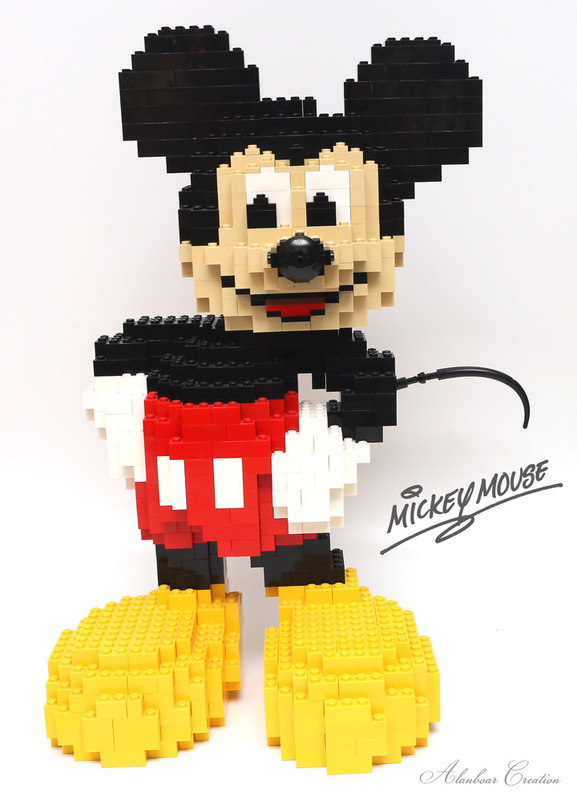 WhiteFang of Eurobricks got ahold of these new Minifigs months early, and wrote up a full review. There is no need to read any other reviews, WhiteFang is the definitive source for the Collectible Minifigure reviews. The whole set is made of 16 figures, 10 of which are new characters, and 6 are variants from Series 1. 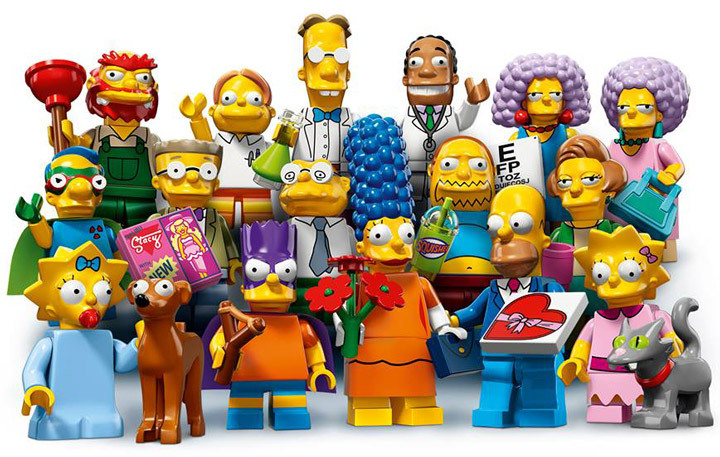 The Lego Simpsons Minifigures Series 2 should be showing up in stores around May 2015, at the $3.99 price point. But, keep an eye out, these usually pop up a week or two early in some locations. The Series 2 Minifigures packaging is yellow and blue this time around. Not to be confused with Series 1. Interestingly Lego didn’t go with an unique color. 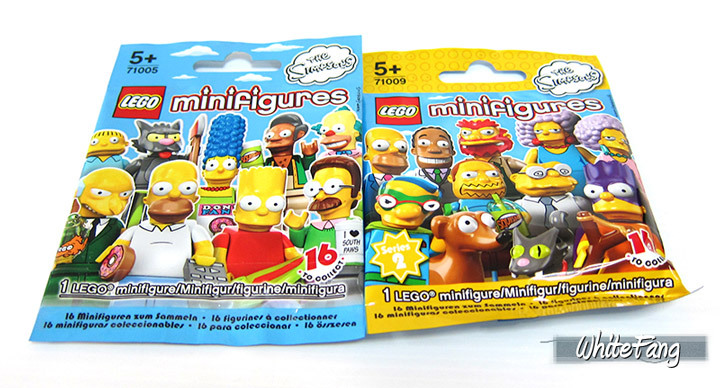 If you find a box, or purchase a box you are looking at least 3 full sets of the Lego Simpsons Minifigures Series 2. The most common Minifigs are Homer is his Suit, Bartman, and Groundskeeper Willie. The uncommon figures this time are Marge in Fancy Dress, Lisa & Snowball II, Maggie & Santa’s Little Helper, Fallout Boy, Doctor Hibbert, and Waylon Smithers. 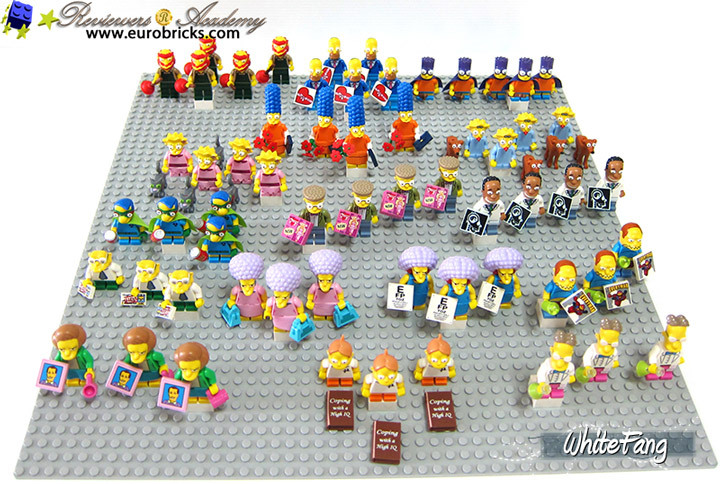 The hardest to find and rare Minifigures this time around include Comic Book Guy, Martin Prince, Professor Frink, Hans Moleman, Selma Bouvier, Patty Bouvier, and Edna Krabappel. 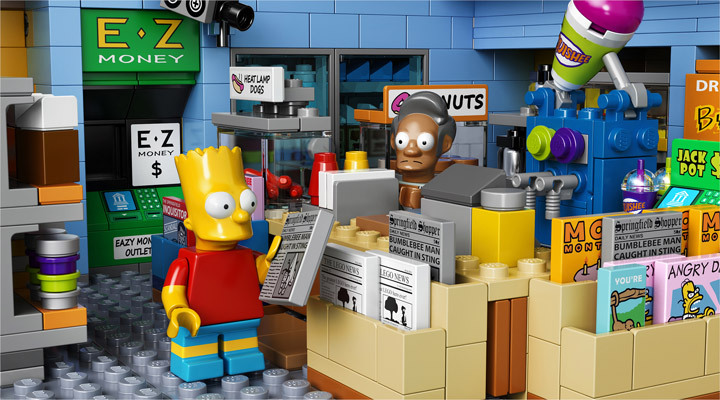 Lego has officially announced The Simpsons Kwik-E-Mart (71016). It was not long ago the box art leaked, and now there are more then enough photos of this wonderful set. The release will include 6 Minifigures: Apu Nahasapeemapetilon, Bart Simpson, Homer Simpson, Marge Simpson, Police Chief Wiggum Clancy, and Snake Jailbird. Snake is exclusive to this set, and Apu features a new clothing. Someone who works for Lego is a Simpsons fan, notice that they fit Apu’s full name on the box: Apu Nahasapeemapetilon. Wow. 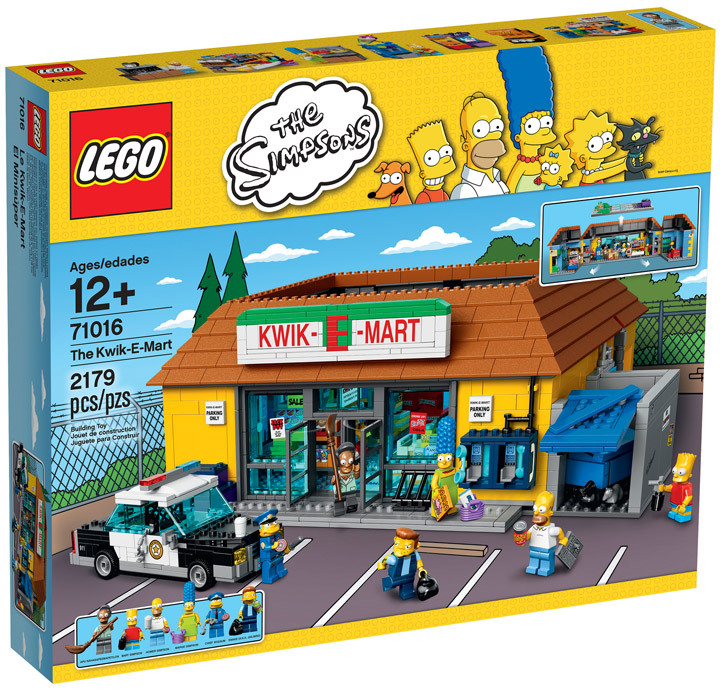 The Kwik-E-Mart playset will include 2,179 pieces and retails for $199.99. The same price point as the Lego Simpsons House. (Reviewed here) The whole set is jam packed full of details. There is a Squishee machine, magazine and newspaper rack, full stocked shelving, fully stocked freezers, a frozen Jasper (sticker? ), an ATM, security cameras, the list goes on and on. They even included the secret garden on the rooftop, where Apu goes to for refuge from the modern world. This set is looking like a must buy for Simpsons fans, and probably Lego fans too. There is an abundance of color, and rare shades, all over the Kwik-E-Mart. Or, as Lego says the “store is packed with more rich, colorful details than a Mr. Burns birthday cake has candles!” The first thing I will be doing is adding Milhouse to the display and recreating the famous all-syrup Super Squishy bender (here). Lets go crazy broadway style! 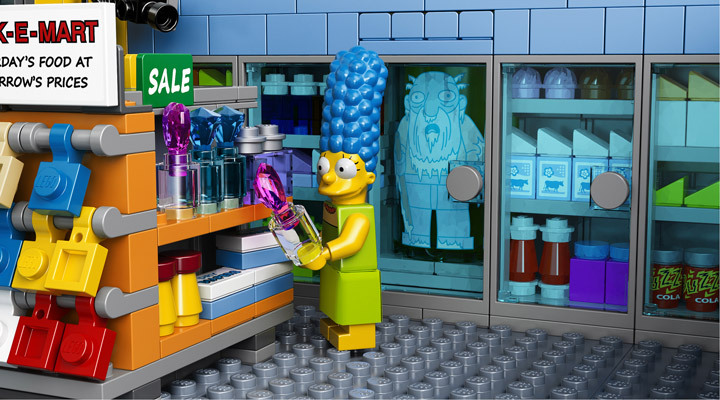 The Lego Simpsons Kwik-E-Mart (71016) will be made available for sale in May 2015. Be on the look out for an early Lego VIP release a few weeks earlier. 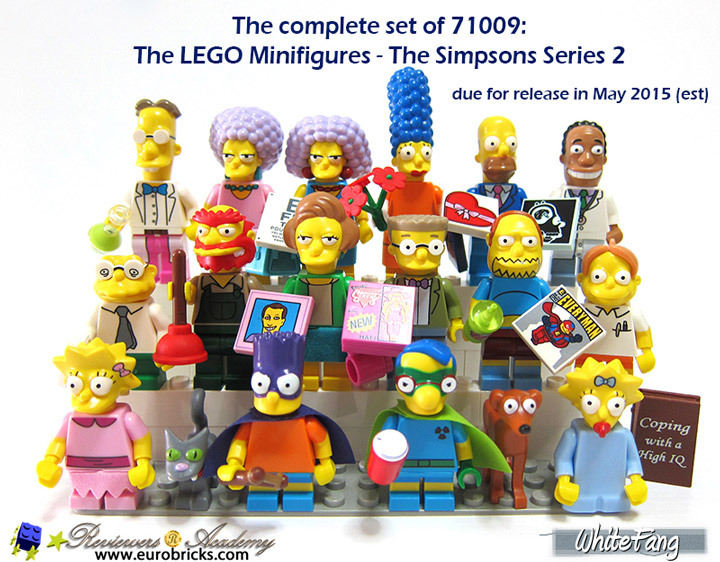 Lego has officially revealed Series 2 of the Lego Simpsons Minifigures (71009). The announcement confirms the earlier leaked production images. It looks like this series will be filling in the cast with some of the most obvious omissions from Series 1. We have Groundskeeper Willie, Martin Price, Professor Frink, Doctor Hibbert, Patty Bouvier, Selma Bouvier, Waylon Smithers, Hans Moleman, Comic Book Guy, and Edna Krabappel. The remaining six Minifigs are recolors and variants of previously released figures. There is Fallout Boy, Bartman, Maggie Simpson, Marge Simpson, Homer Simpson, and Lisa Simpson. The Lego Simpsons Minifigures Series 2 is an interesting set. Most of the figures come with unique accessories, usually some sort of printed tile. The best accessories are the Simpsons pets, Santa’s Little Helper and Snowball II. Hopefully there will be a Series 3 in the future. It would be awesome to get some of the bullies, Doctor Nick, or even Moe. 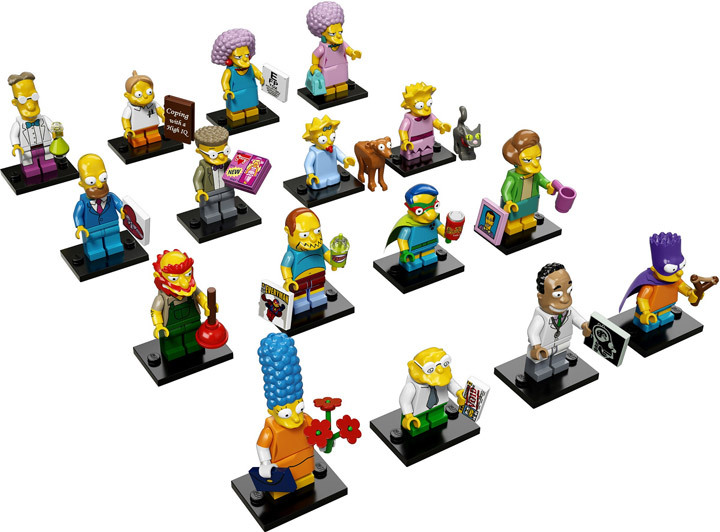 The Simpsons Lego Minifigures Series 2 (71009) should be hitting shelves around May. These will be available at the $3.99 price point. D’oh. 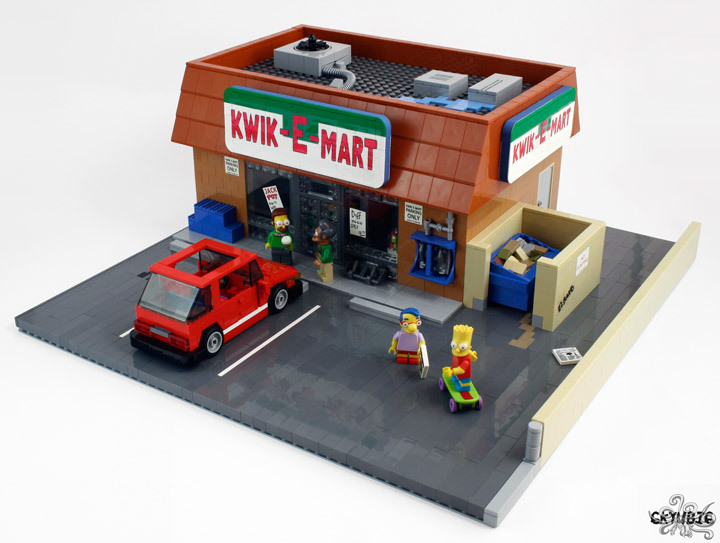 If you cannot wait for the upcoming official Lego Simpsons Kwik-E-Mart then build your own. That is exactly what Flickr user 6kyubi6 did. 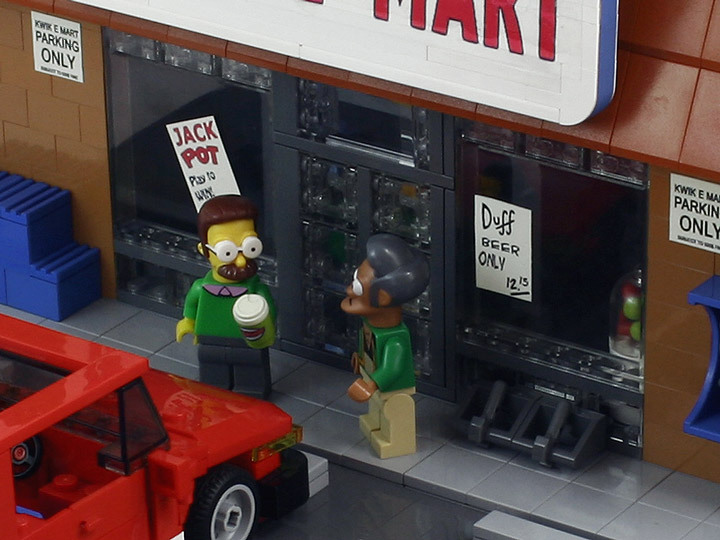 It sounds like this is the first in a series, as it has been deemed a part of the “Springfield Project.” This Lego Kwik-E-Mart is a thing of beauty. The whole thing is built on a studs-not-on-top (SNOT) base, which helps give this MOC an animated look. Some of the small details are genius. Keeping with the lived in appearance of the show, the air conditioning unit on the roof is leaking. There is a well made bike rack, and telephone booth. Even the dumpster is leaking a mysterious brown liquid. Then there are the custom made stickers and signs, the Kwik-E-Mart sign, various posters, and even El Barto’s signature. These, along with all of the small details really help to bring life to the scene. 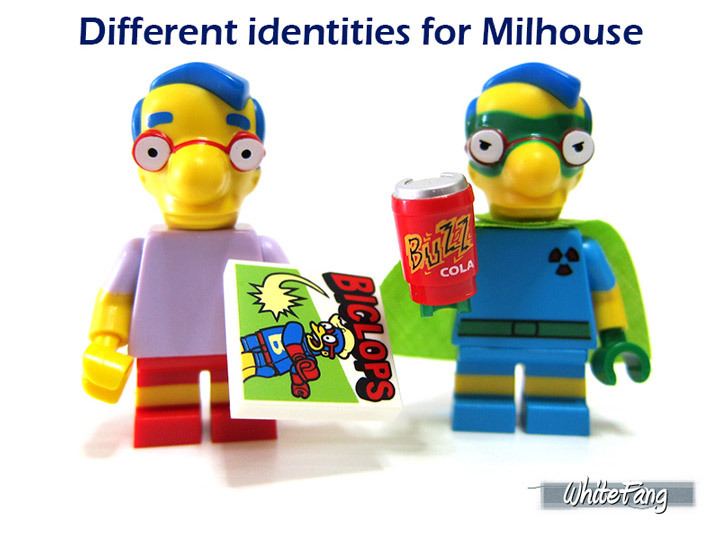 You can just imagine Bart and Mulhouse buying a Super Squishee. The only thing missing is Matt Groening’s signature. It’s Mean, It’s Green, It’s the Mystery Machine. 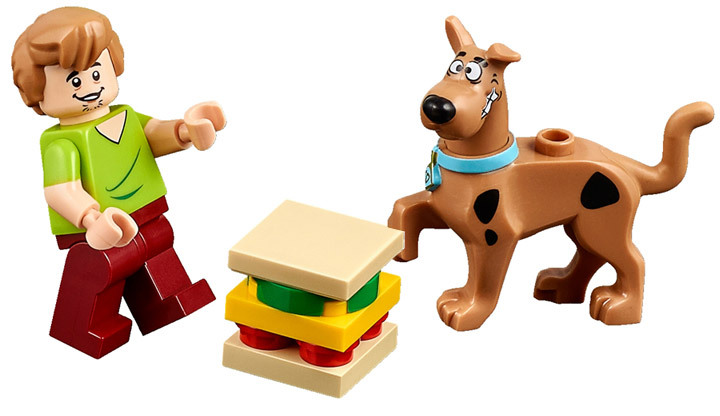 Lego Scooby Doo Details. 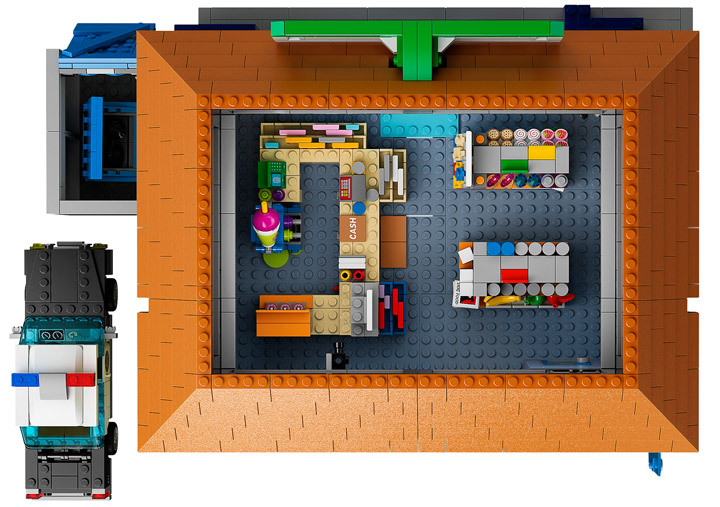 For a little while now there have been rumors of an official Lego Scooby Doo theme for 2015. 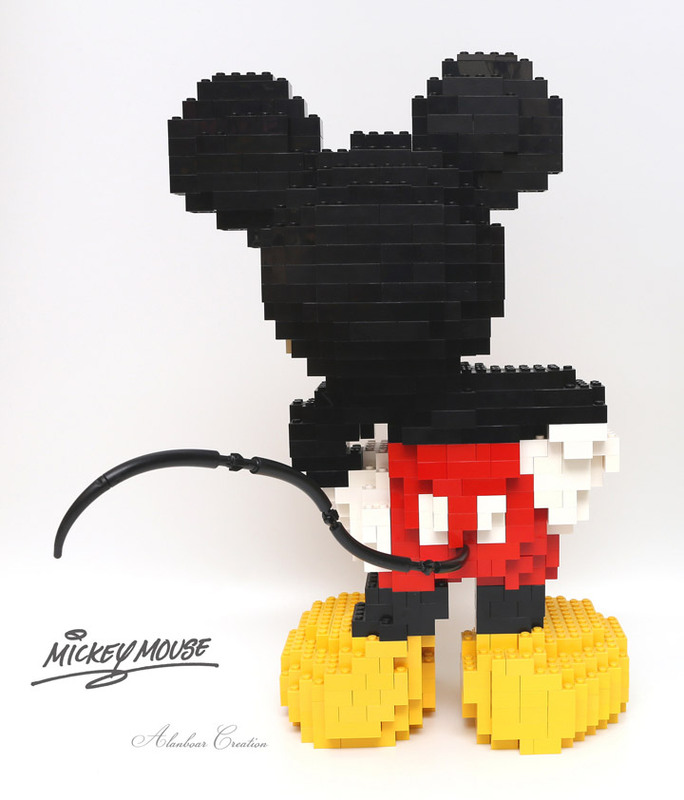 It certainly is not the most demanded theme, but Lego is trying its best to win over all our hearts. Everything is being timed for maximum exposure, with a new Scooby Doo TV show titled “Be Cool, Scooby-Doo!” premiering on Cartoon Network soon. The first official images from Lego are starting to be released. 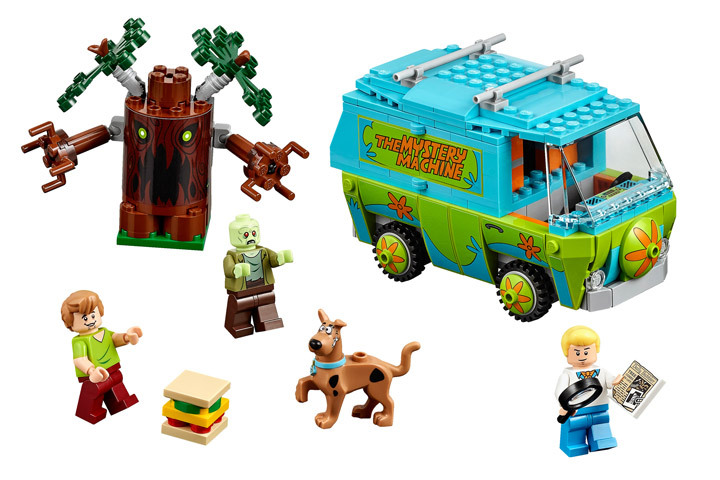 The most popular set will probably be the Mystery Machine (75902) which will retail at $29.99. This set features Shaggy, Scooby Doo, and Fred fighting off a zombie and evil tree. Scooby Doo is looking especially impressive, with some fine printing that puts most of the other Lego dogs to shame. The current line up features 5 sets covering a good amount of the show: Mummy Museum Mystery (75900), Mystery Plane Adventures (75901), Mystery Machine (75902), Haunted Lighthouse (75903), and Mystery Mansion (75904). The whole gang will be represented in Minifigure form. Fred, Shaggy, Scooby-Doo, Daphne, and Velma. Hopefully we won’t need to purchase the whole theme to complete the team. It is no surprise to see Lego and Top Gear working together. One of the hosts of Top Gear, James May, built a full house out of Lego in Surrey. 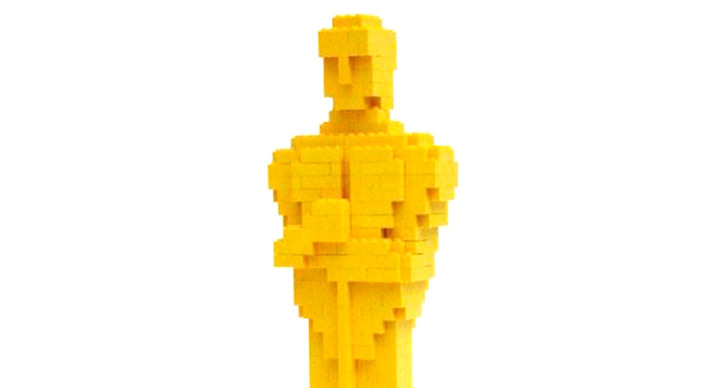 Although it didn’t work out as hoped, millions of Lego bricks were donated to charity after the house was destroyed. 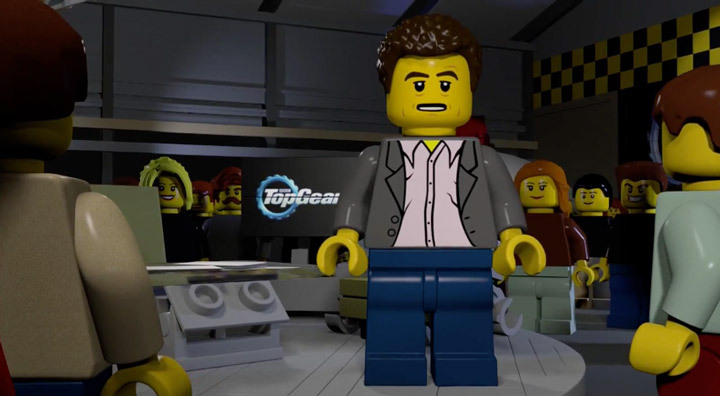 Now there is a full trailer for the new season of Top Gear, season 22, animated in 3D Lego. Seeing various cars rendered in Lego, including a 3 wheeler is fun. It works so well that it is a shame that season 22 is not entirely done in Lego. “The chaps have been turned into LEGO for a new trailer. Stop what you’re doing and watch. Jeremy is fast asleep, Richard has been cut in half, James has only gone and lost his hair, and The Stig’s body is missing. Suffice to say, then, just another normal day in the world of Top Gear. Spend the year of the Sheep with everybody’s favorite Shaun the Sheep. Shaun stars in his own animated TV Show, which in turn is a spin off of Wallace and Gromit: A Close Shave. 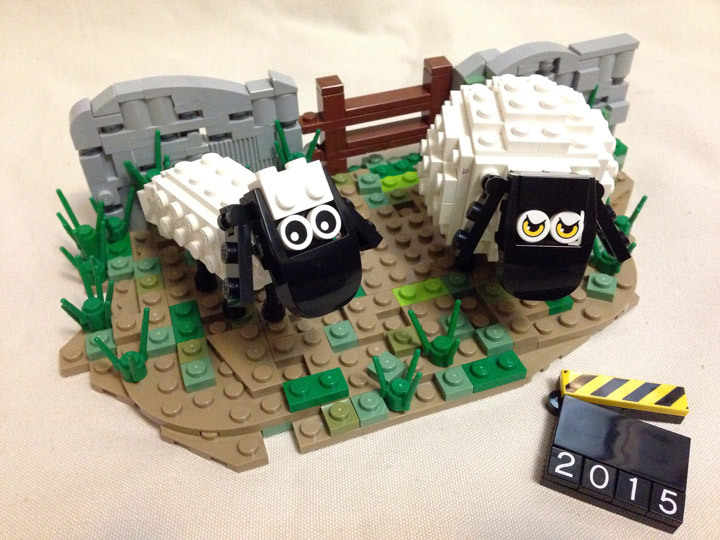 This cute Lego vignette shows the titular sheep hanging out with a much more angry looking sheep. Maybe it needs to be shorn? Which, in Lego would mean removing a couple of plates? No matter, these two sheep are excellent builds.